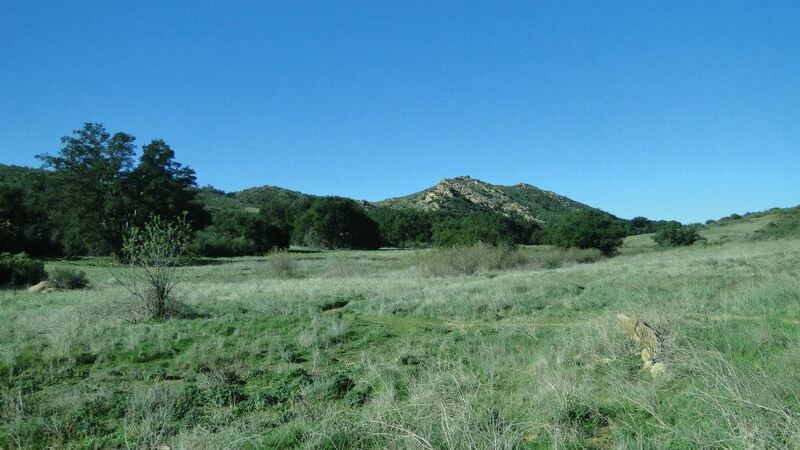 – Conveniently close to the freeway in Agoura Hills off of Cheseboro Rd. This was a great hike. The morning was cool, but not cold. The breeze was strong, but not irritating. The sun was warm, but not hot. The sky was clear. The air was clean. 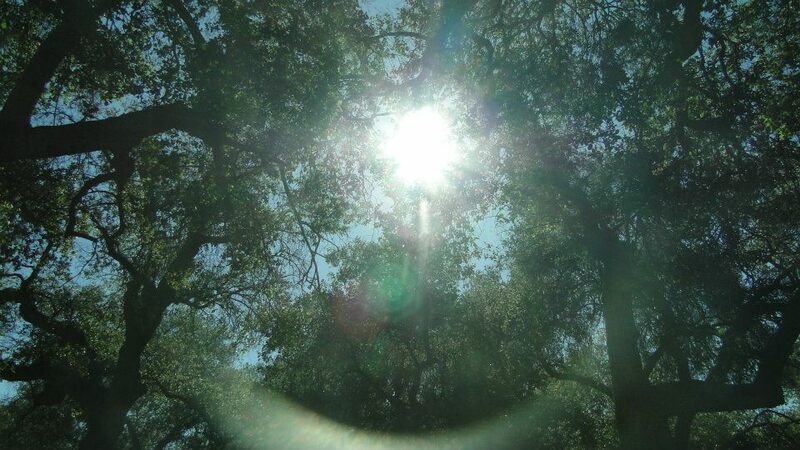 The first stirrings of spring were well under way as wildflowers bloomed in the open, sunny spaces, and the first leaves on the valley oaks were beginning to sprout, marking the beginning of the great oaks’ transition from creepy silhouette to a graceful, weeping giant. My body felt good. After the initial hill, I felt plenty of energy, yet I didn’t push too hard. I felt better at the end of the hike than I did at the beginning. Nothing in my body felt uncomfortable, and even after 13.2 miles, there was absolutely no stiffness or soreness. Even the mood was perfect. I’ve been taking this trail for several years now, and I’ve learned that it is never better than in early spring, provided it hasn’t rained the night before. The mild weather and period storms color the gently rolling hillsides a brilliant shade of green, and the sun in the back stretch, which is dryer and sunnier, does not beat down so relentlessly. 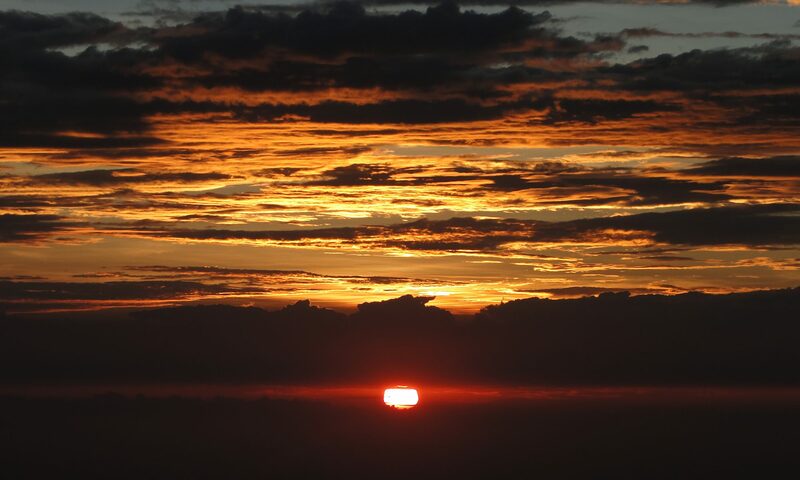 I set out in the morning at 7 and hit the trail with a large cup of coffee. I started out on the Modelo Trail, which takes a long, gentle switchback up to the ridge that separates two parallel canyons, Palo Comado to the west and Cheeseboro to the east. The Modelo Trail follows the ridge along a few gentle rises and dips until it comes with a connector that will lead you either down into Cheeseboro for a short loop back to the parking lot or to a longer loop that goes up the west canyon and crosses over to the east canyon for a total of twelve miles. The Modelo Trail intersects at a T-junction with the Palo Comado connector trail, and after a mile and a half, you drop down into the opening of Palo Comado. To the left are ridiculously expensive houses belonging to super rich people. These houses have a ton of horse stables, which accounts for a large amount of horse crap dropped at somewhat regular intervals on the trail. Horse crap has never been a problem for me since it rarely stinks, and it’s easier to spot than dog crap (and there is some of that, too). However, this may be a turn off for some people who just don’t like crap. I’m not cuckoo for caca or anything, but I can ignore it if I need to. 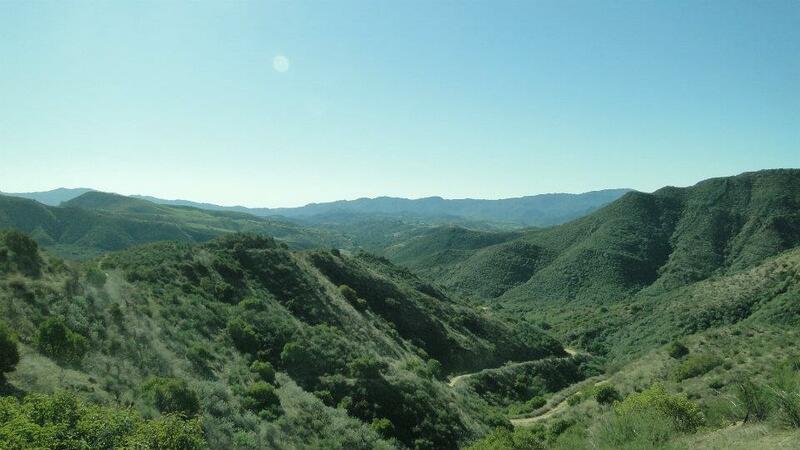 The Palo Comado trail travels north and gains elevation very gently as it winds lazily toward the Simi Hills. At first, the trail is all oak woodland featuring valley and coast live oaks swaying lazily in the breeze with bright green grass glistening in the sun at their bases. This stretch is an absolute pleasure on a spring morning when light is catching the dew, and the sun creates a patchwork of light and shade through the canopies of the trees. 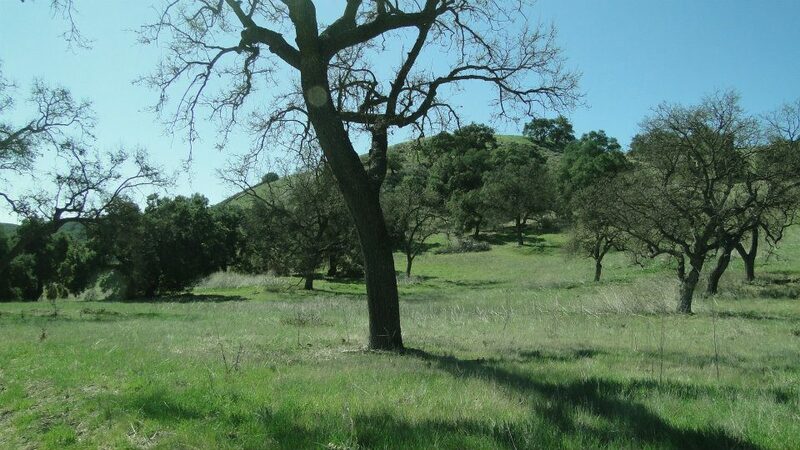 Eventually, the woods thin out, the hills become dryer, and chaparral begins to overtake the grasses and the oaks. The trail then rises steadily and gently, leading to Albertson Fire Road. You reach another T-junction where you can either choose to go right to Shepherds’ Flat and the trail that will head south down Cheeseboro Canyon. This choice makes the loop a fairly gentle eleven miles. Or, you can choose to go left toward China Flat, a large, flat grassy area supporting oak woodland that is tucked in behind the Simi Hills and sits like an oasis of green in a sun-baked chaparral desert. The side trip will cost you an extra two miles, but it is more than worth it as there are a number of places to sit down and enjoy an extended break. I returned back from China Flat and headed east as the trail dropped back into Shepherds’ Flat, another flat, but much dryer stretch of land that lies at the northern head of both Palo Comado and Cheeseboro Canyons. 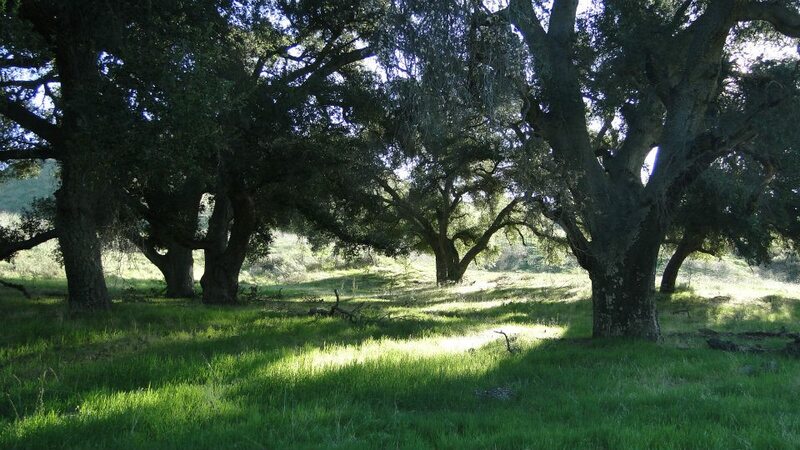 Here, you can sit and relax underneath a live oak – there’s a lot of that on this trail, or you can continue on through a undulating canyon that leads back into the open woodland of Cheeseboro Canyon. One of the bonuses of going in February is the opportunity to see a few unusual wildflowers. 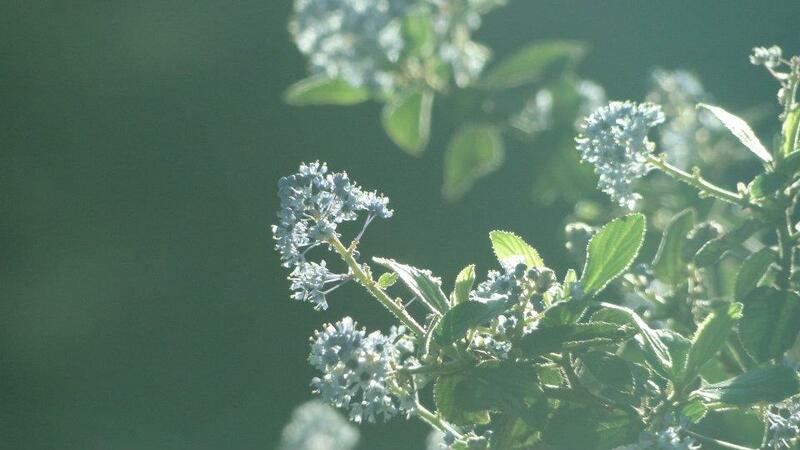 Ceanothus and sunflowers are very common, as are some other purple and pink flowers that I see often but cannot name. However, it was a lot of fun to come across a few patches of California peony, which likes dry, sunny places below 4,000 feet. 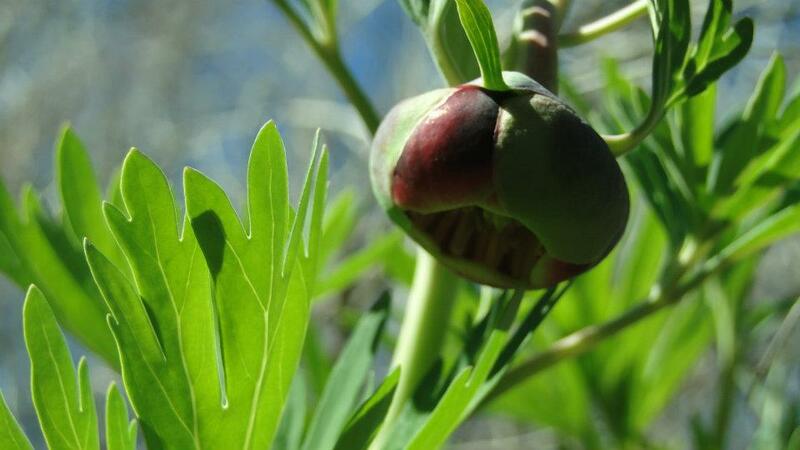 The flower smaller and not as ornate as other peonies from the east coast, but it is an unusual site to see the bulbous, drooping flowers hiding in the sage brush. 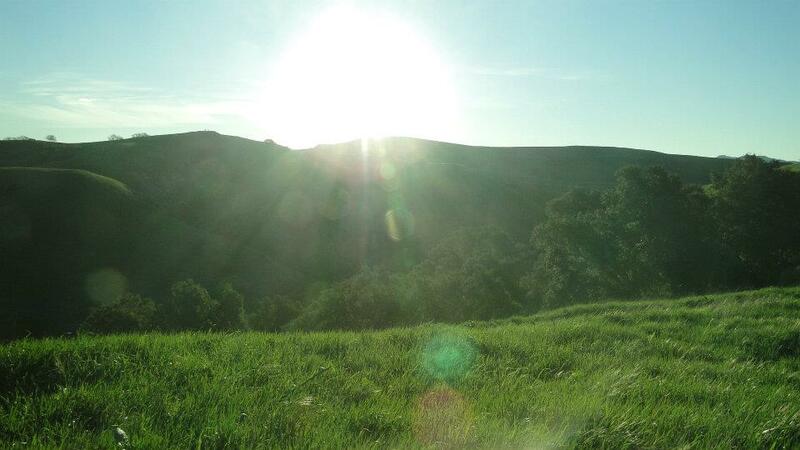 Cheesebro Canyon follows the reverse trend that you experience in Palo Comado. The head of the canyon is dry and dominated by chaparral with a few oaks and sycamores along the water course. After a mile or so from Shepherds’ Flat, the trail plunges into the riparian undergrowth at Sulphur Spring, at which point sulphur mixes in with a spring, occasionally producing the classic rotten egg smell. When you emerge from the brief stretch of dense willows and white, mottled sycamore trunks, you emerge back into the oak woodland and pass through long stretches of shady coast live oaks and green, rolling hills. Finally, the live oaks begin once again to mix with the valley oaks, and you pass several impressive specimens on both tree on the way back to the trailhead. For those who don’t know the difference between valley and live oaks, valley oaks are deciduous, can grow to 100 feet, and can live over 400 years. 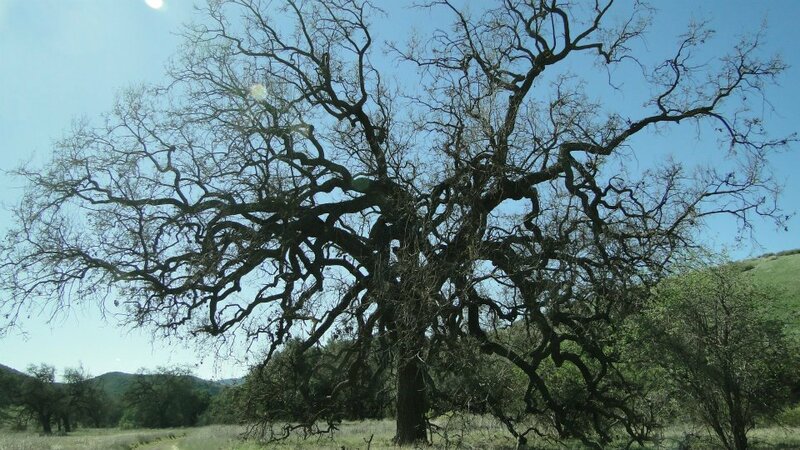 It is common from the San Fernando Valley up through the Central Coast and into Northern California, where it begins to transition into the Oregon oak and blue oak, or into the Sierra foothills, where it eventually gives way to the sharp-leaved, smaller black oaks. Coast live oak grows within a short distance from the coast, and it grows well where there’s a decent amount of moisture available. 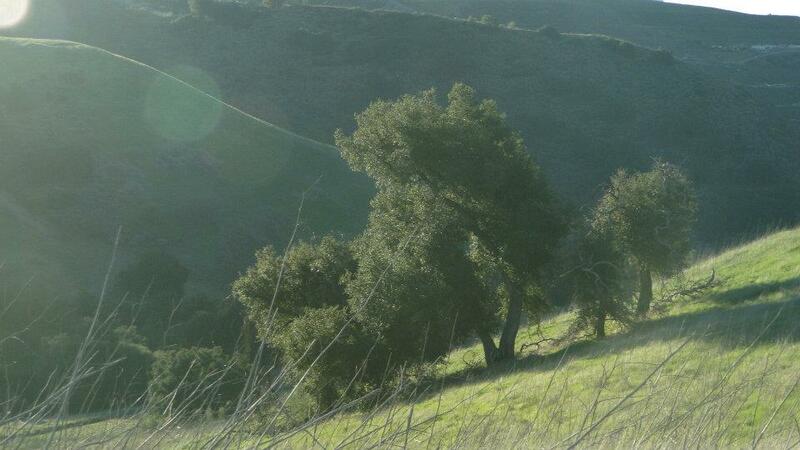 The coast live oak can be impressive, but, aside from the older trees, they are much less distinctive than valley oaks. Even while young, the valley oaks have a stately appearance that recalls the classic archetype of what most people expect an oak to be. The limbs are long and tend to weep along the ground. The trunk is wide and covered in deeply rutted bark. 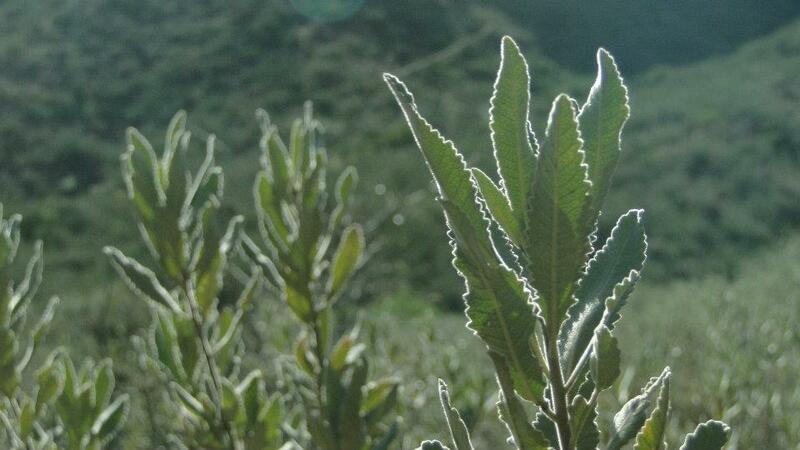 The leaves are broader and larger, with large lobes as opposed to the smaller, waxy green leaves on the coast oak. 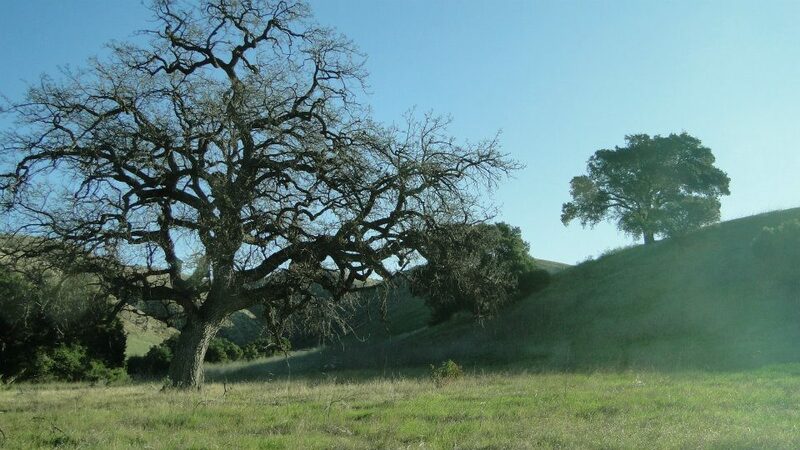 There’s a reason why it’s a symbol of the Conejo Valley area, and the Cheeseboro and Palo Comado canyon areas are great places to see healthy stands of a tree that has seen its habitat dwindle due to development. Finally, the Cheeseboro Canyon Trail curves west and leaves you at a parking lot. You’re likely to find a lot of joggers with dogs, casual hikers, mountain bikers, and horseback riders at this somewhat busy staging area, but such sitings – excepting mountain bikers – are rare the further into the trail you get. Mountain bikers, however, are a ubiquitous presence on this trail. Like I’ve said before, most mountain bikers are courteous about letting you know they are coming, but very few follow the proper trail etiquette of yielding to hikers. This failure to apply these kinds of manners, which most mountain bikers don’t seem to be aware of, makes for the potential for frustration to both hikers and mountain bikers. Mountain bikers come screaming down slopes and around bends, and the hiker has to be wary of the possibility of somebody coming by at twenty miles per hour at any given time. It’s nerve-wracking, and occasionally obnoxious, but this is a national recreation area, and you gotta share. Not much to be done about it except tolerate it with good humor. These are some of your best photos yet. Really really gorgeous.